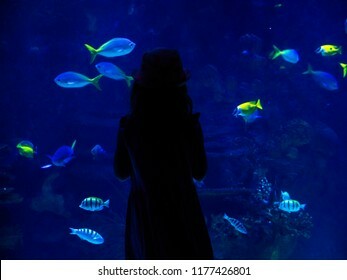 Marco Crupi is a professional photographer, blogger and Panasonic European Lumix Ambassador. 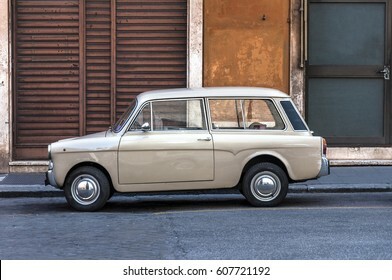 Born in 1988 and currently living in Messina (Italy). 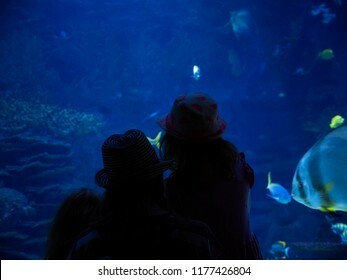 2,251 stock photos, vectors, and illustrations are available royalty-free. PALERMO, ITALY - JUNE 19, 2017. 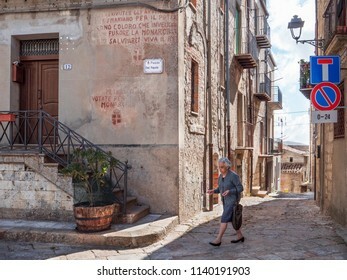 An old baker at Petralia Soprana, Sicily, Italy. 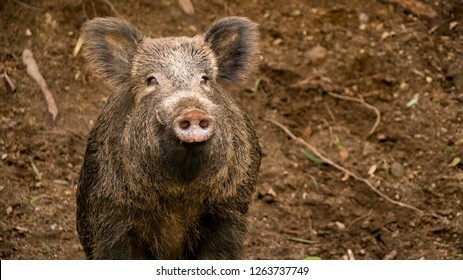 Boar portrait. 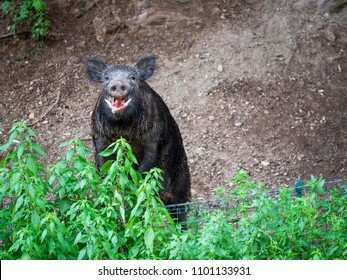 Nice wild boar. Colorful spring sunset on the cape Milazzo, nature reserve Piscina di Venere, Sicily, Italy, Tyrrhenian sea, Europe. 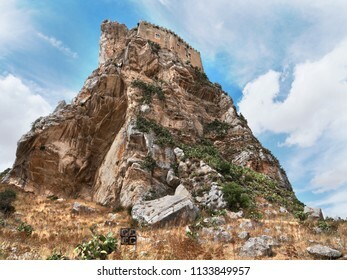 A view across the Piazzo Duomo towards the Mother Church of Saints Peter and Paul in Petralia Soprana in the Madonie Mountains, Palermo, Sicily, Italy. 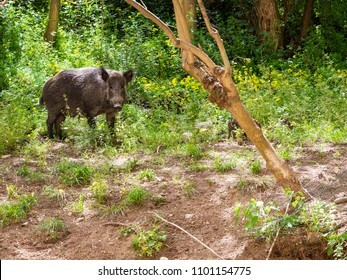 VALENCIA, SPAIN - AUGUST 22, 2018. 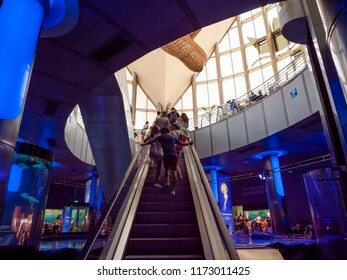 Interior of the entrance to the Oceanogràfic park in Valencia. 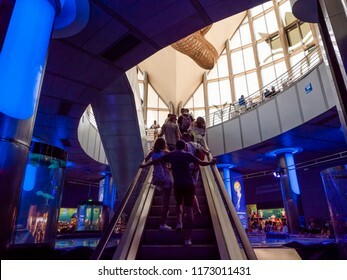 The Oceanographic is an oceanarium where different marine habitats are represented. 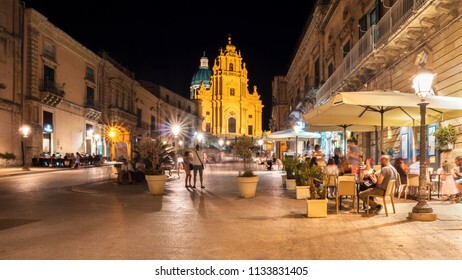 The Cathedral of San Giorgio at night in Ragusa Ibla, is the mother church of the city named after its patron saint, Sicily, Italy. Tomatoes stuffed with Calabrian, with breadcrumbs and olives. 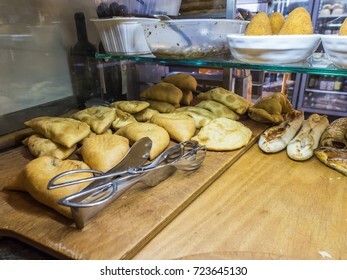 Typical food of Calabria, Italy. PALERMO, ITALY - JUNE 28, 2017. 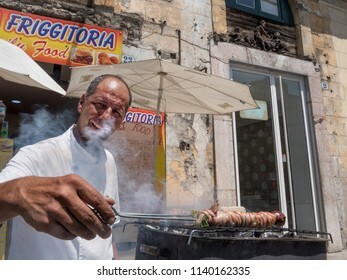 Le stigghiola (budella di agnello) sono il tipico street food palermitano, Sicily, Italy. 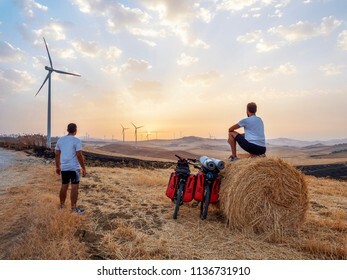 Cyclists with their touring bicycles watch the sunset over the center of Sicily, the wind turbines are in the background. 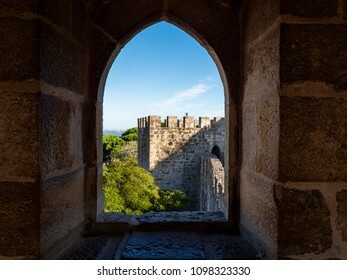 The castle of Mussomeli is a fortress built between the fourteenth and fifteenth centuries. 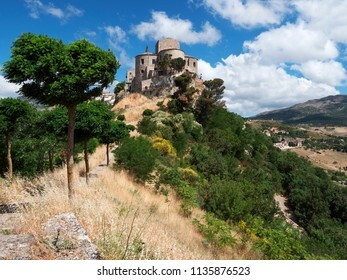 A medieval castles built with a unique architecture in the world, Sicily, Italy. 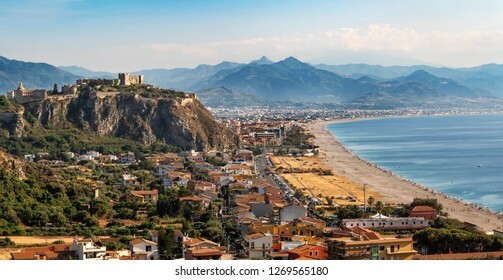 Panoramic view over a beach in Milazzo town, on the hill there are the Castle and the ancient Cathedral. 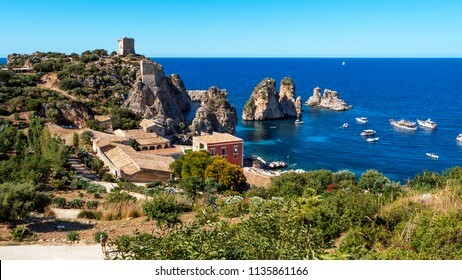 Sicily, Italy. Nduja, a particularly spicy, spreadable pork salumi from Italy. 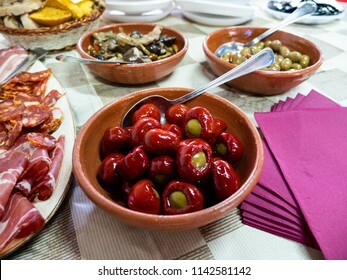 It is a Calabrian variation of salumi. 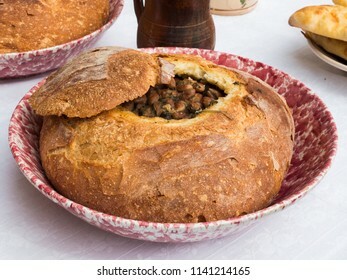 Stuffed bread typical of Basilicata, Italy. 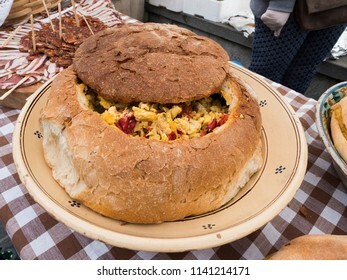 Inside the bread there are vegetables and meat. 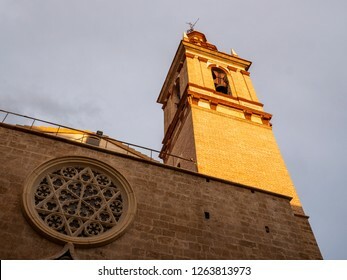 Bell tower of the Church of St. Nicholas (Esglesia Sant Nicolau) in Valencia, Spain. The tonnara of Scopello is one of the most important and ancient of all Sicily. 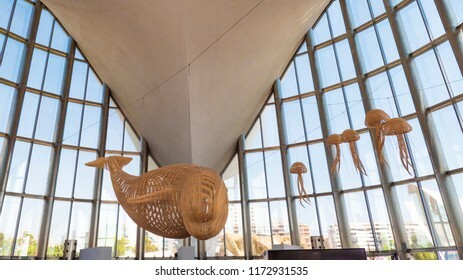 Even the Faraglioni and the sea are a tourist attraction. 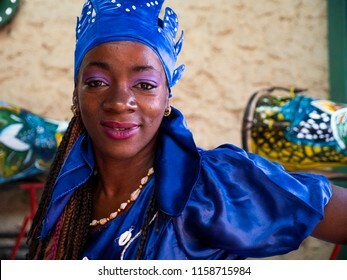 VALENCIA, SPAIN - AUGUST 23, 2018. Inside the Basilica of the Virgen de los Desamparados (Basílica de la Mare de Déu dels Desemparats). 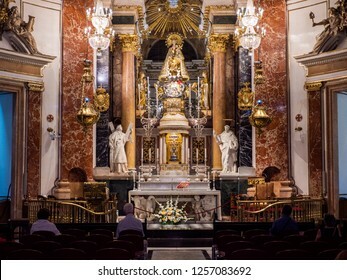 Church interior. 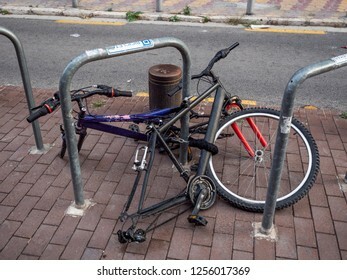 Broken bicycles, crashed bicycle. 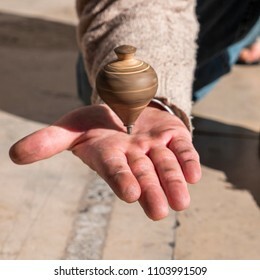 Bike without wheels. 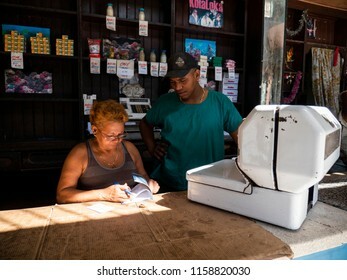 HAVANA, CUBA - AUGUST 17, 2016. 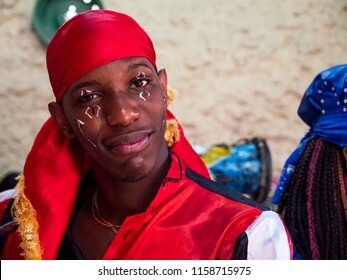 Santeria Dance Performers in Callejon de Hamel, Habana. 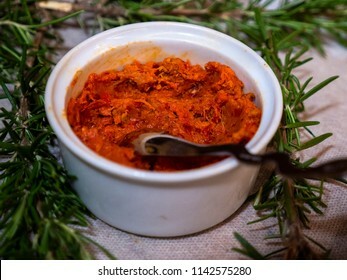 Nduja, a particularly spicy, spreadable pork salumi from Italy. It is a Calabrian variation of salumi. 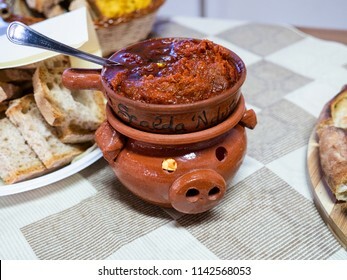 Translated text: Nduja warmers. Ceramic bowl to keep Nduja warm. PALERMO, ITALY - JUNE 19, 2017. 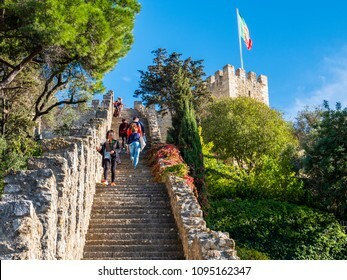 Historical writings in a palace of Petralia Soprana in favor of the Monarchy, dating back to the institutional referendum of 2 and 3 June 1946, Sicily, Italy. Night view over Messina and Strait of Messina, taken from the top of Colli San Rizzo. 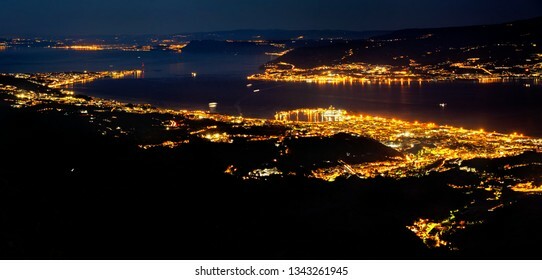 Aerial view of the City night from the view point on top of mountain , Messina, Sicily, Italy. SCICLI, ITALY - AUGUST 9, 2017. 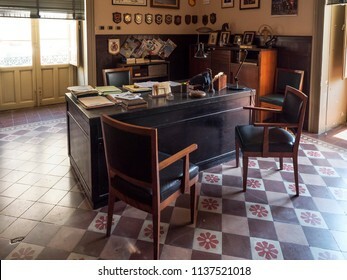 Interior of the Montalbano office in the TV series "Il Commissario Montalbano". In reality the Commissariat of Vigata is the Municipality of Scicli. 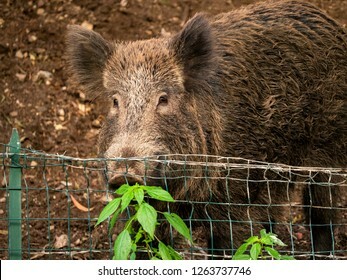 VALENCIA, SPAIN - AUGUST 22, 2018. 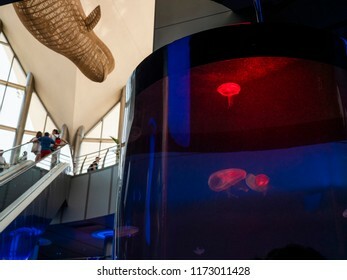 Interior of the Oceanogràfic park in Valencia. 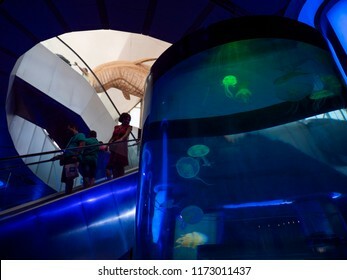 The Oceanographic is an oceanarium where different marine habitats are represented. 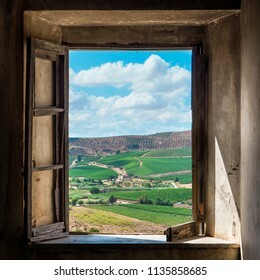 View on fields cultivated by an old window, Sicilian rural landscape. 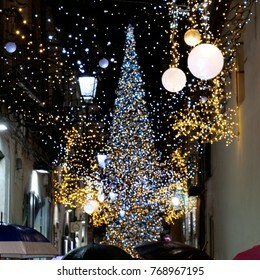 Blurred christmas lights decoration and giant Christmas tree in Salerno during the artist lighting event, Italy. 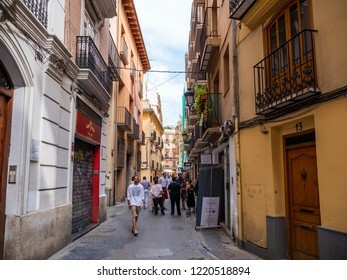 VALENCIA, SPAIN - AUGUST 23, 2018. 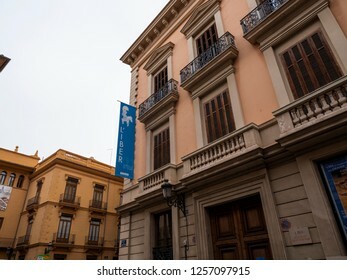 Plaza de la Virgen square in the city of Valencia surrounded by: Valencia Cathedral, Basílica de la Virgen de los Desamparados and the Water Tribunal. HAVANA, CUBA - MARCH 17, 2016. 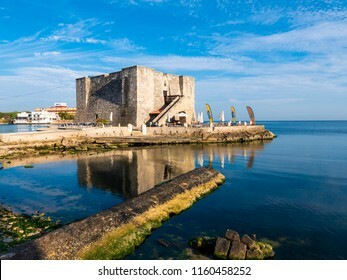 The Tower of la Chorrera near the Malecon, the waterfront promenade of the Habana. 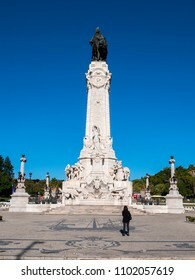 LISBON, PORTUGAL - NOVEMBER 8. 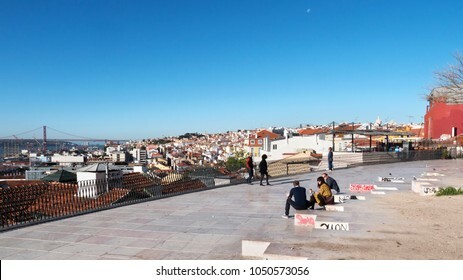 View on Lisbon from the Miradouro Di Santa Catarina on November 8, 2017. 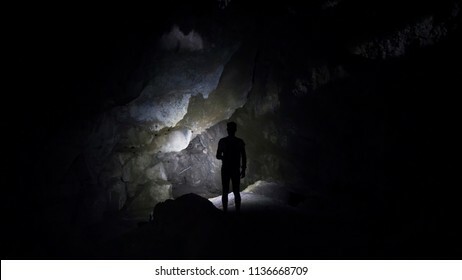 MESSINA, ITALY - AUGUST 12, 2018. 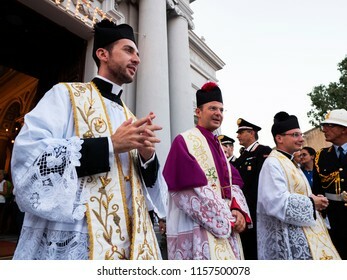 Celebration of the patron saint St. Nicholas of Bari, the parish priest of the church of S. Nicola di Ganzirri, father Antonello, in the company of two young priests. 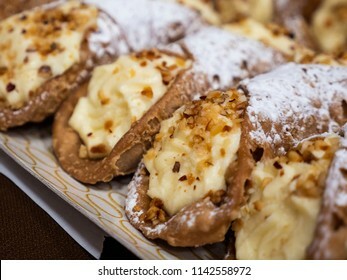 Sicilian cannoli with sweet ricotta, with chocolate chips and icing sugar. Traditional italian dessert with ricotta cheese. 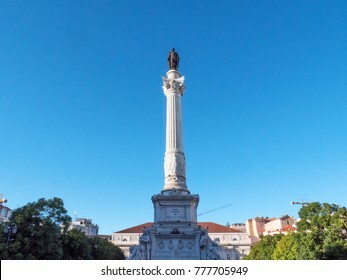 The Marquess of Pombal Square (Portuguese: Praça do Marquês de Pombal) is an important roundabout in the city of Lisbon, Portugal with the monument to Sebastião José de Carvalho e Melo. AGRIGENTO, ITALY - JULY 18, 2017. 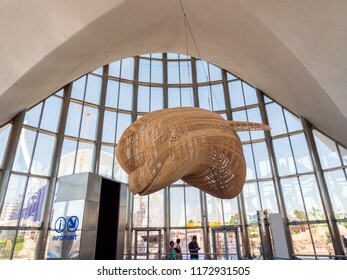 Salvatore Rizzuti is a famous sculptor originally from Caltabellotta. 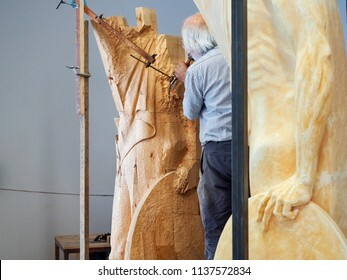 During the realization of a wooden sculpture in his atelier. 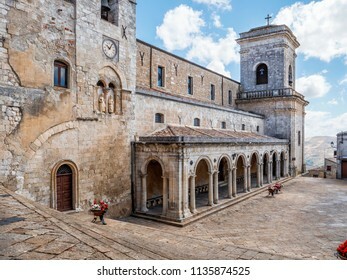 View of the church of S. Maria di Loreto in Petralia Soprana, Palermo, Sicily, Italy. An avenue of trees leading to the hilltop village of Petralia Soprana in the Madonie Mountains. 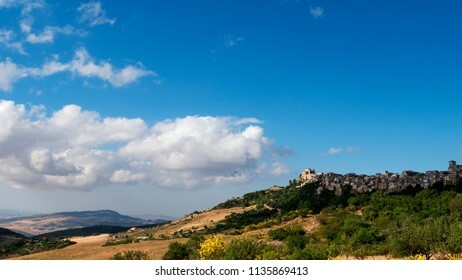 View of the Madonie Park and the village of Petralia Soprana, Palermo, Sicily, Italy. 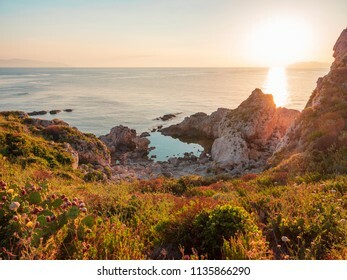 Sunset over the Swimming Pool of Venus at Capo Milazzo, Sicily, Italy. 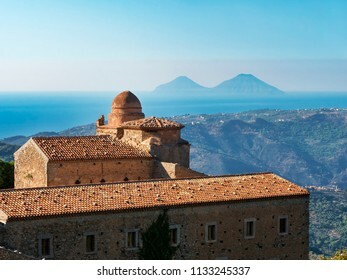 The monastery of San Filippo Fragala with the Aeolian islands in the background, Messina, Sicily, Italy. 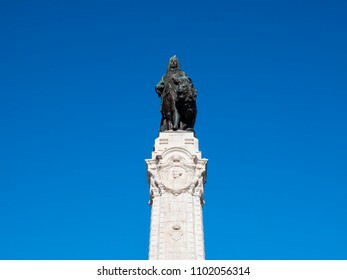 Pedro IV statue at the rossio square in Lisbon, Portugal. MILAZZO, ITALY - FEBRUARY 12. 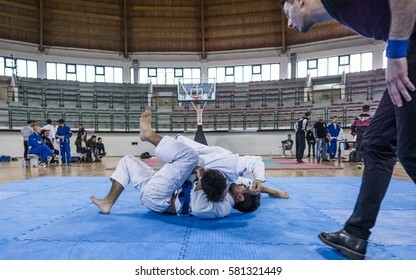 Rear Naked Choke (Mata Leao) during BJJ & Grappling Competition, Brazilian Jiu Jitsu Tournament, Tirreno Challenge on February 12, 2017. 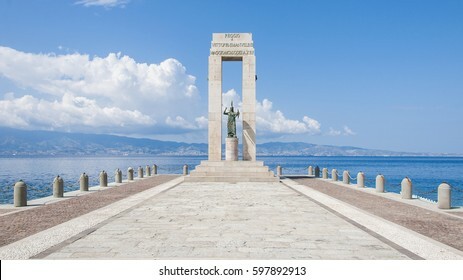 Athena statue in front of the sea, Arena dello Stretto in Reggio Calabria, Italy. 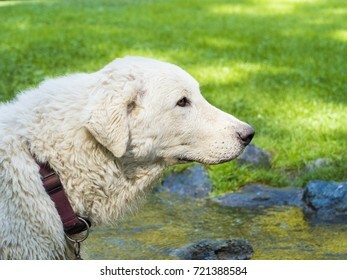 The ancient goddess of philosophy and wisdom. 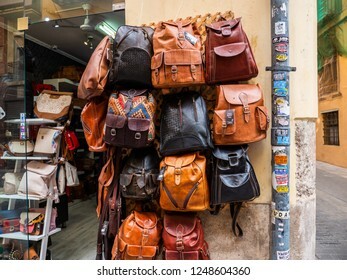 VALENCIA, SPAIN - AUGUST 22, 2018. Cart of the Mon Orxata. 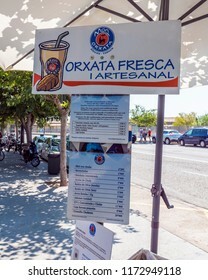 Horchata with fartons, a traditional beverage made of tigernuts and sponge pastries traditional from Valencia. MILAZZO, ITALY - FEBRUARY 12. 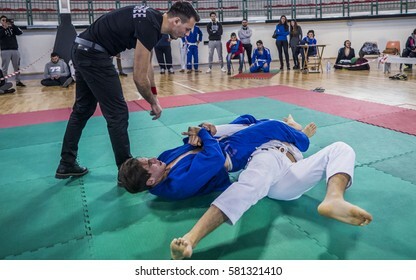 Side control during BJJ & Grappling Competition, Brazilian Jiu Jitsu Tournament, Tirreno Challenge on February 12, 2017. VALENCIA, SPAIN - AUGUST 21, 2018. 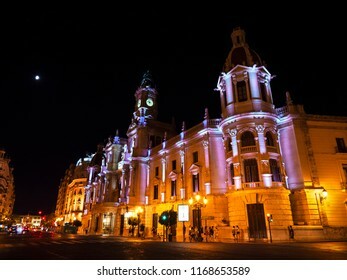 Town Hall building on Plaza del Ayuntamiento in Valencia at night, Spain. 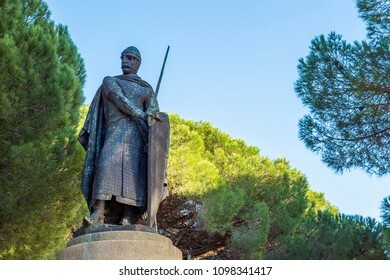 VALENCIA, SPAIN - AUGUST 22, 2018. 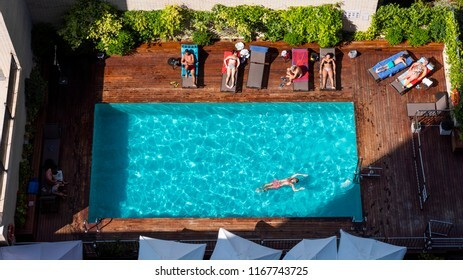 Pool seen from above of the Ilunion hotel chain in Valencia. 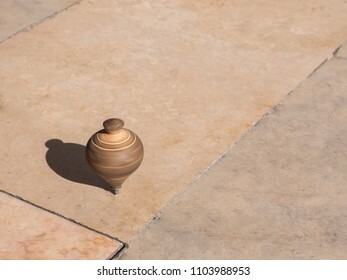 Aerial view of female in bikini in swimming pool. 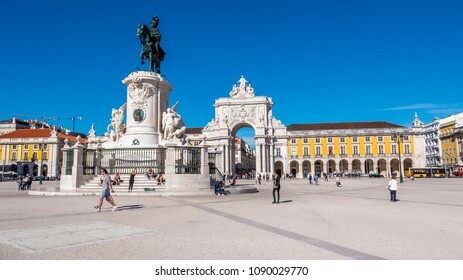 LISBON, PORTUGAL - NOVEMBER 9, 2017. 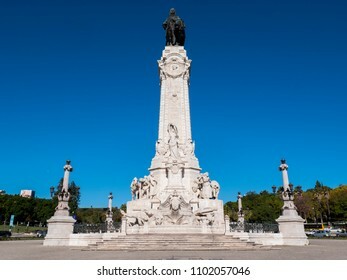 The Marquess of Pombal Square roundabout in the city of Lisbon, Portugal with the monument to Sebastião José de Carvalho e Melo. 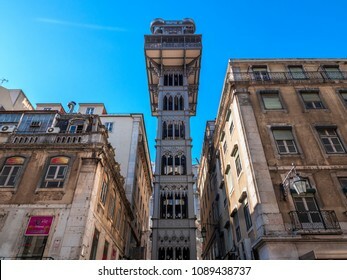 LISBON, PORTUGAL - NOVEMBER 8, 2017. 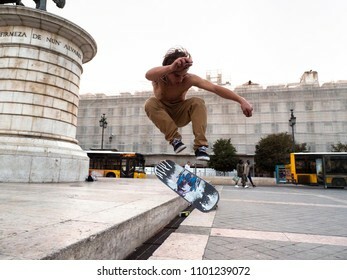 A teenager skateboarder does an ollie trick at sunset in the Praca da Figueira square in Lisbon. SALERNO, ITALY - DECEMBER 2. 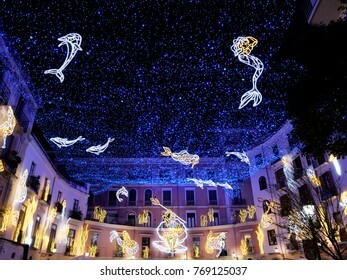 Christmas lights decoration in Salerno during the artist lighting event on December 2, 2017. 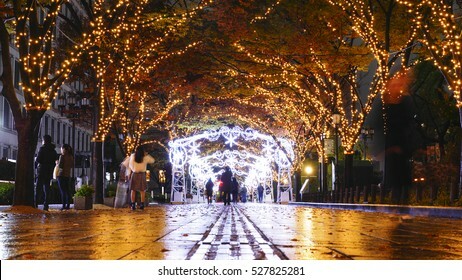 Christmas lights decoration in Osaka, Japan. 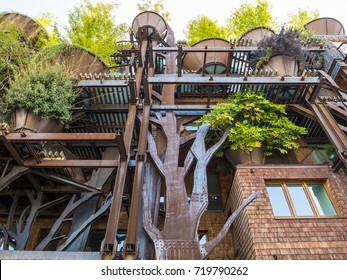 TURIN, ITALY - SEPTEMBER 15: House called 25 Verde (meaning 25 Green), residential condominium in Turin, the first experiment of eco-sustainable bio-architecture in the city on September 15, 2017. HAVANA, CUBA - MARCH 17, 2016. 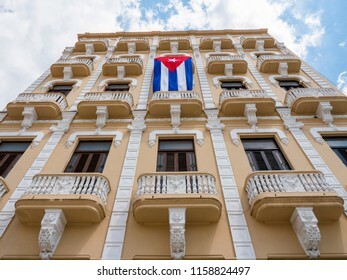 A large Cuban flag hangs from the balcony in Old Square (known in spanish as Plaza Vieja). HAVANA, CUBA - MARCH 17, 2016. 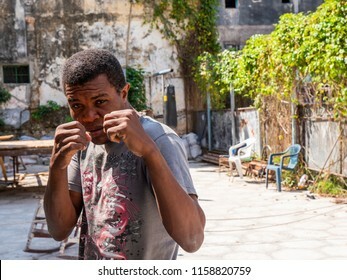 Cuban Boxing coach at the Gimnasio Boxe in Calle Neptuno. HAVANA, CUBA - MARCH 17, 2016. 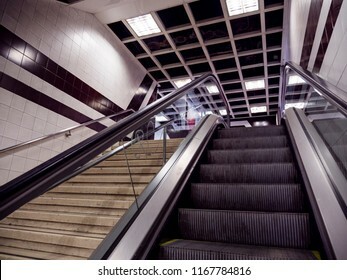 Inside a grocery store. 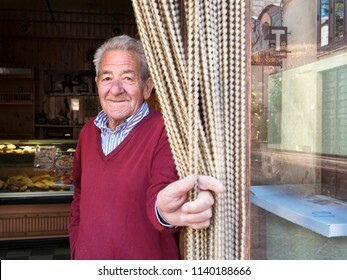 The shopkeepers behind the counter check the ration book. 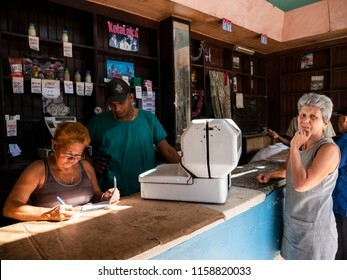 HAVANA, CUBA - AUGUST 17, 2016. 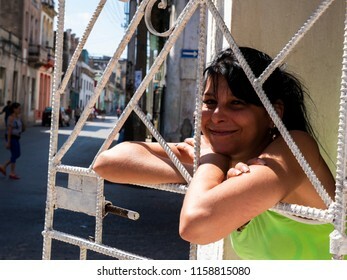 Cuban woman smiling. 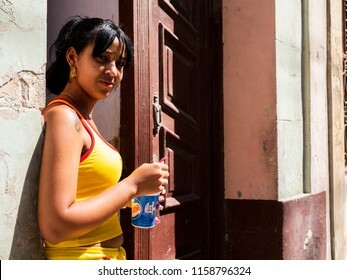 Urban scene and colorful decaying buildings in Old Havana. HAVANA, CUBA - AUGUST 17, 2016. 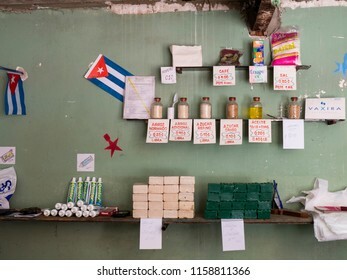 Products displayed in a Cuban shop. HAVANA, CUBA - AUGUST 17, 2016. 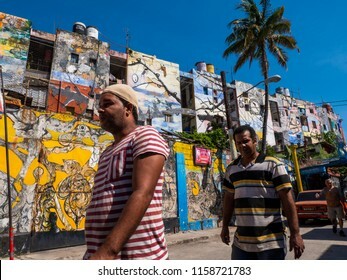 Urban scene and colorful decaying buildings in Old Havana. 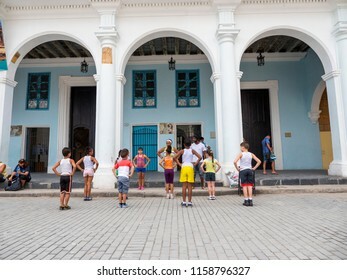 Cuban children do outdoor gymnastics. HAVANA, CUBA - AUGUST 17, 2016. 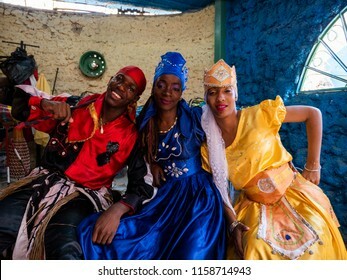 Interior of the Callejón de Hamel, Havana's high temple of Afro-Cuban culture in Centro Habana. HAVANA, CUBA - AUGUST 17, 2016. 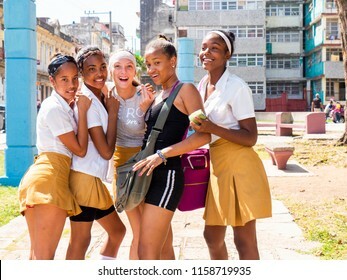 Group of young and beautiful Cuban schoolgirls posing for a photo. HAVANA, CUBA - AUGUST 17, 2016. 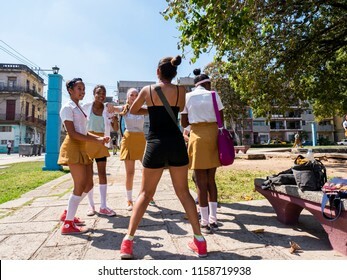 Group of young and beautiful Cuban schoolgirls. HAVANA, CUBA - AUGUST 17, 2016. 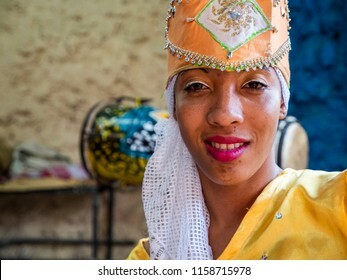 Portrait of Santeria dance performer in Callejon de Hamel, Habana. HAVANA, CUBA - AUGUST 17, 2016. 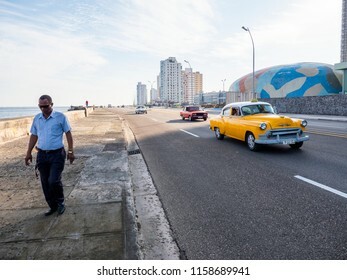 Vintage American car, yellow taxi runs along the avenue Malecon, in Habana. LISBON, PORTUGAL - NOVEMBER 8. 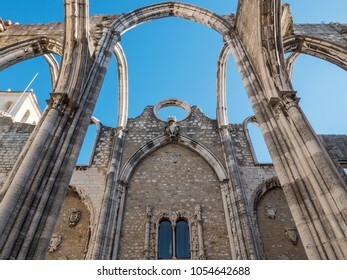 The Convent of Our Lady of Mount Carmel (Carmo Convent), located in the civil parish of Santa Maria Maior, municipality of Lisbon on November 8, 2017. 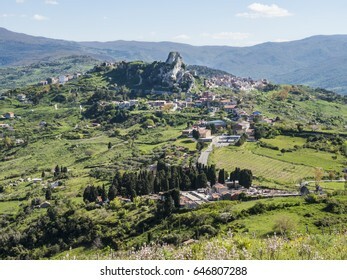 The village of San Fratello in Sicily, view from the top of hill, italy nature. MILAZZO, ITALY - FEBRUARY 12. 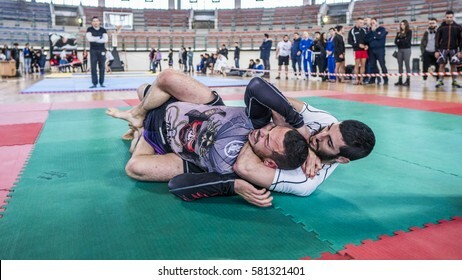 Armlock during BJJ & Grappling Competition, Brazilian Jiu Jitsu Tournament, Tirreno Challenge on February 12, 2017. COSENZA, ITALY - APRIL 10, 2018. 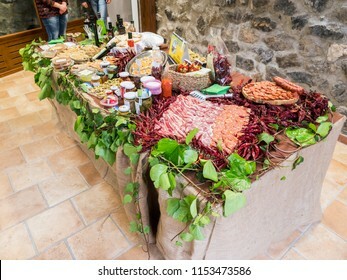 Table with a mix of typical italian foods and wines in Orsomarso, Calabria, Italy. 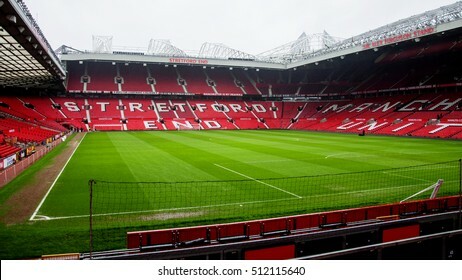 MANCHESTER, ENGLAND - MARCH 15. 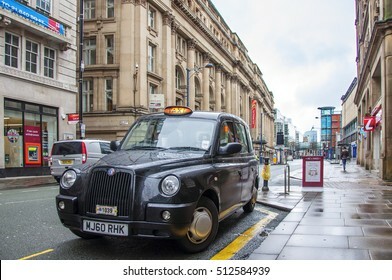 Hackney carriage, London Taxi Cabs on March 15, 2013. Front view asphalt road on sunny summer day near the sea. Messina state road SS113. The Strait of Messina. 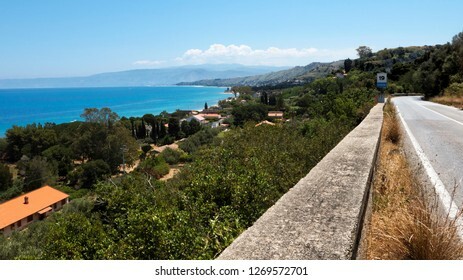 A road along a beach in coastal Sicily. 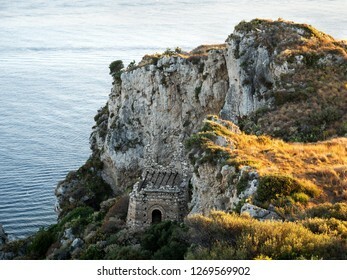 Ancient watchtower of the tonnara of Capo Milazzo, Sicily, Italy.